From now on we will deliver an exclusive new section: The Fashion & Art Weekend written and directed by Silvia Moya @betrendy, an expert fashion blogger. The aim of this section is to investigate in everything involving art & fashion, from current trends to historic fashion evolution. We wish you would enjoy with The Fashion & Art Weekend NEW section that will be launched every Friday. 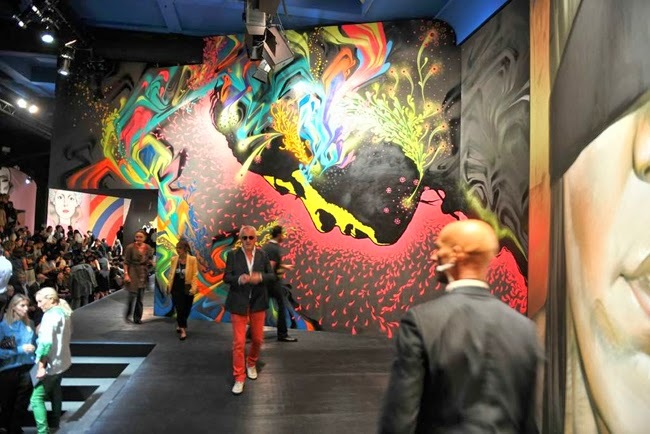 Have anything in common the mural painters Miles "El Mac" MacGregor, Mesa, Gabriel Specter & Stinkfish with the illustrators Jeanne Detallante & Pierre Mornet? 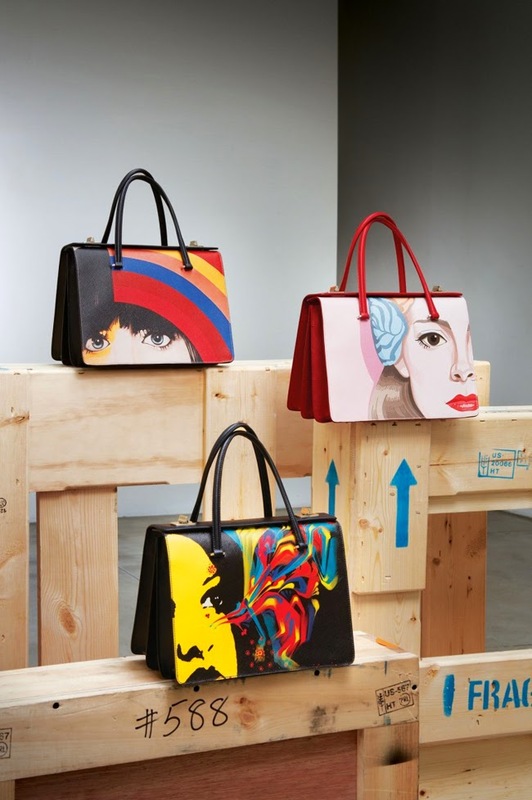 Yes, definitely they do: all of them belong to the project In the Heart of the Multitude, a new performance of the fashion luxury brand Prada following their tradition on working with artists collaborations. 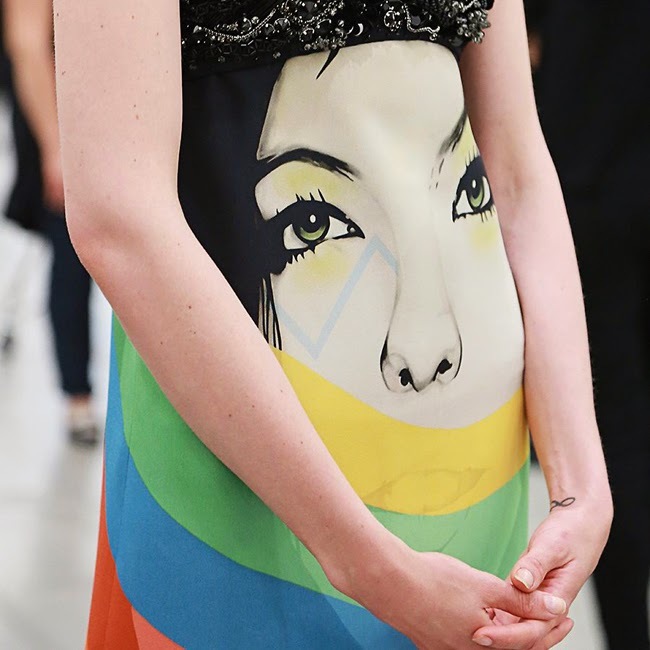 The project was displayed during the Prada Spring-Summer 2014 catwalk and In the Heart of the Multitude has been the inspiration for the whole Prada collection. 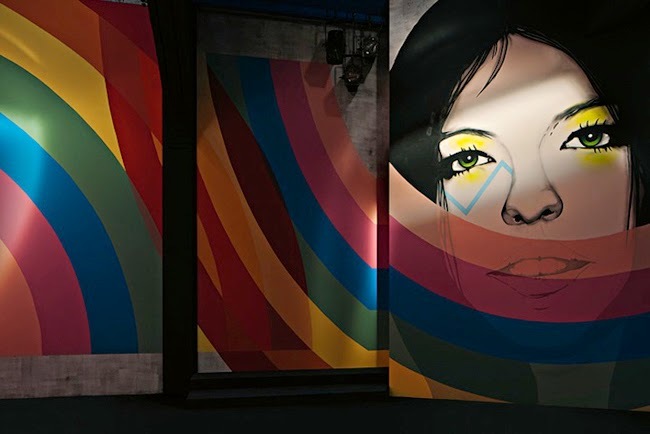 In the Heart of the Multitude makes an artistic tribute to the women: their allure, femenity, power and fragility, throughout each outfit and beyond the display settled inside Via Forgazzaro, Milano, the place where the artistic catwalk was located. 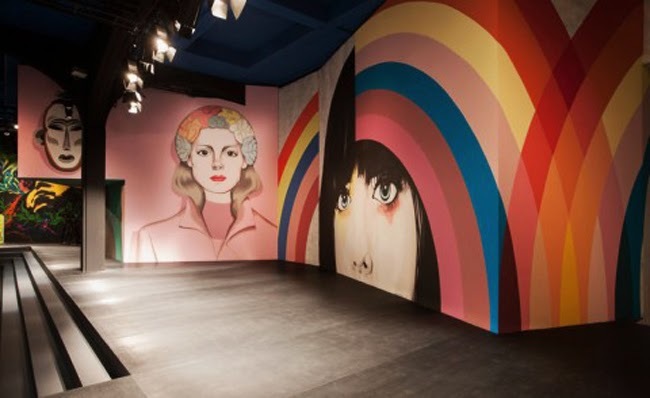 Welldone Publishers: Art Prints & Greeting Cards Worldwide love graffiti expression and we want to congratulate Miuccia Prada for her contribution on developing this art. 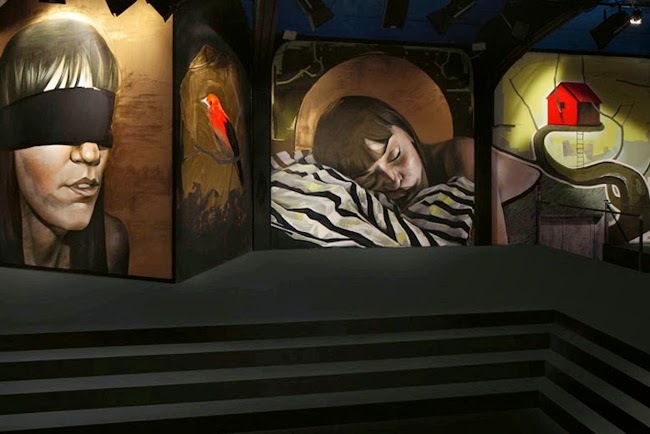 The American muralist Miles “El Mac” McGregor, Los Angeles, is a follower of European artists Caravaggio, Vermeer, Klimt or Mucha. 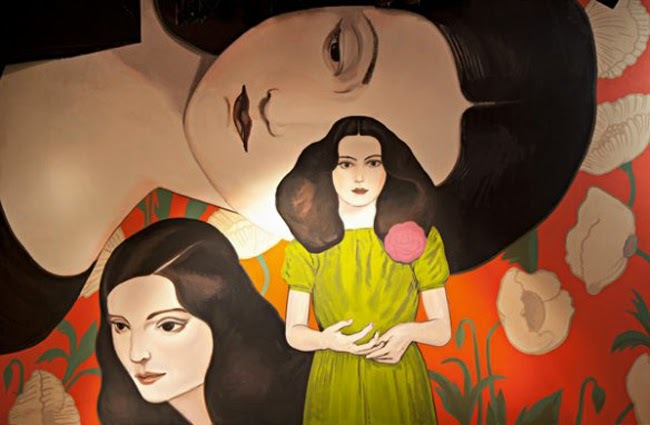 Actually, El Mac has painted three women inspired by Mucha (1860 - 1939) for the Prada's project. 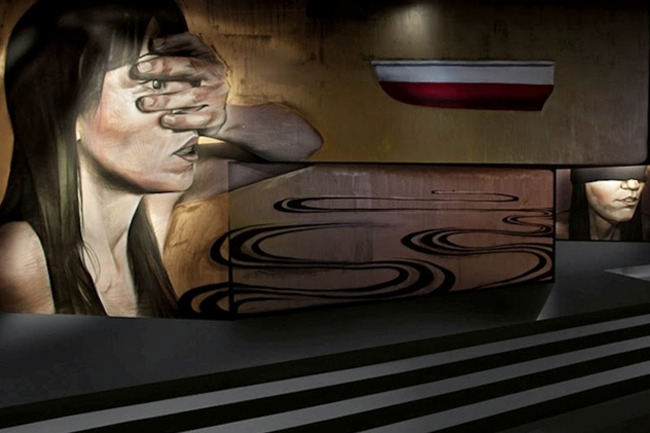 El Mac feels devotion for the Czech Art Nouveau's painter as he considers him being a master on the art of expressing the beauty in women. Mucha is also an excellent artist that communicates emotions. “What do you want me to tell you, I live in my home, I have my friends... and suddenly I receive an e.mail from Prada (...)" Mesa has said. 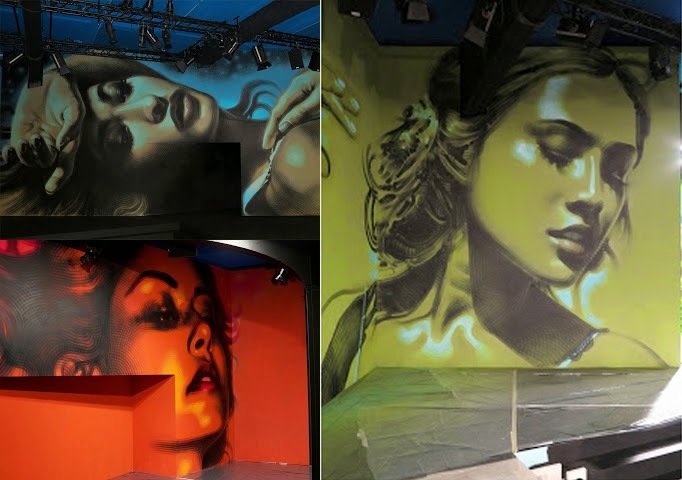 The Spanish artist owns a Flickr page in where his artworks are being exhibited, from his first graffiti painted on the walls of his hometown El Puerto de Santa María, Cádiz, to his latest international commissions. 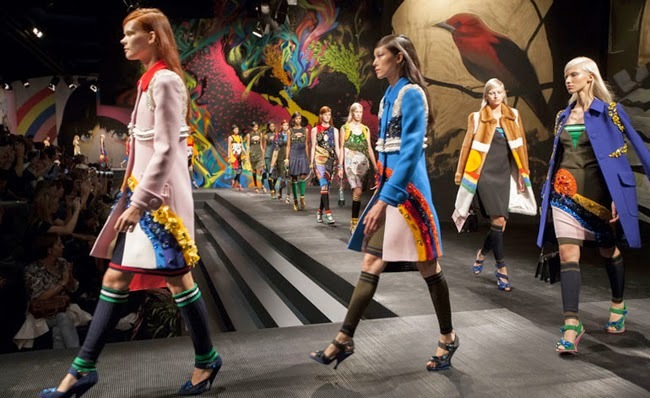 Prada spotted his site and it kept in touch with him. That simple. 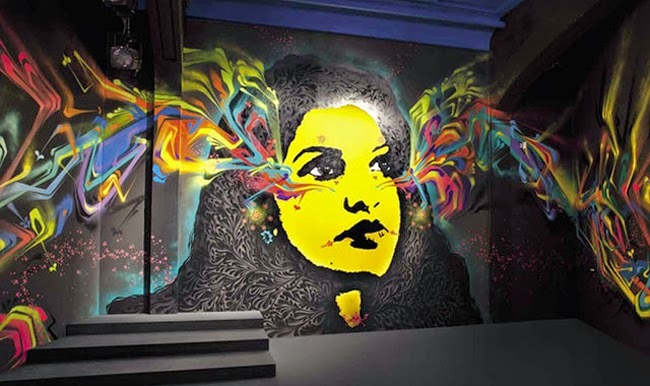 The artist based in Brooklyn, Gabriel Specter, is well known around the world because his art is attached to the social cause, focusing his artworks on revitalizing forgotten urban places. 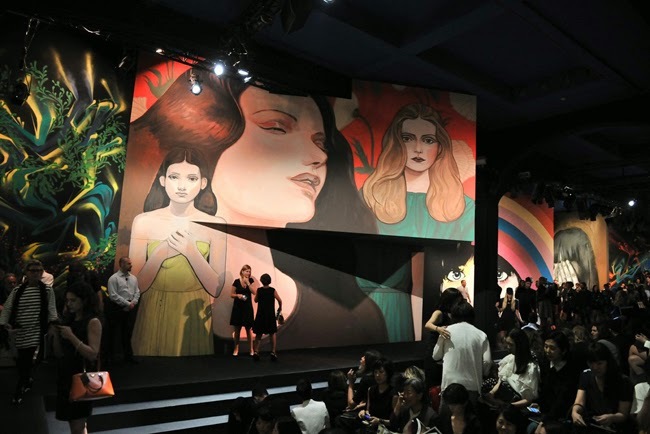 Gabriel Specter's Prada collaboration has created an stunning catwalk display and his artwork women has become an icon to be printed on the pret-a-porter Spring-Summer 2014 collection and on the handbags collection. We do not know his real name only that he wants to be called Stinkfish. Born in Mexico city and currently based in Colombia he considers himself holding a global citizenship thanks to the APC - Animal Power Culture collective where he belongs, group defined as Family of Street Kids. APC embraces the mission of expressing their goals and opinions throughout the art manifesto. 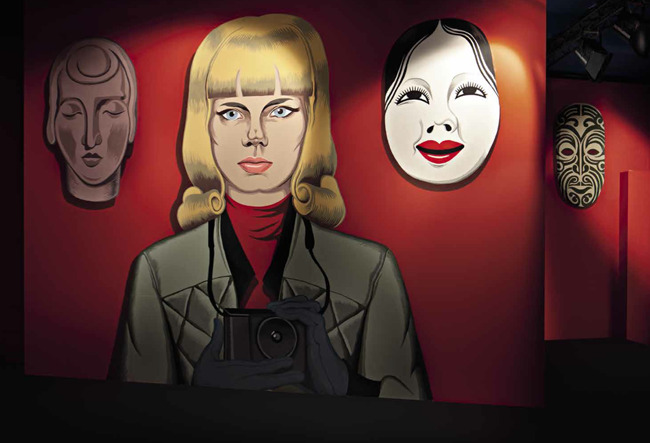 One of its actions are to take street pictures of people and to create samples for its graffiti. 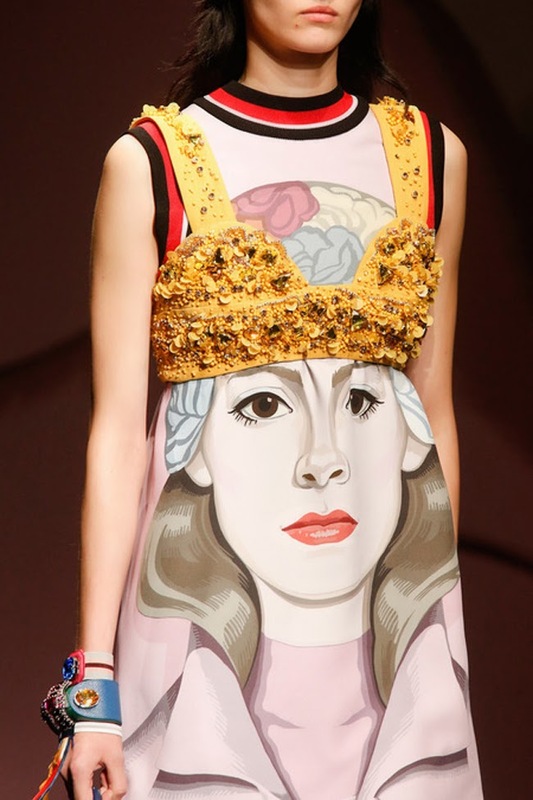 Jeanne Detallante's artwork women have been probably the most printed on Prada's Collection. 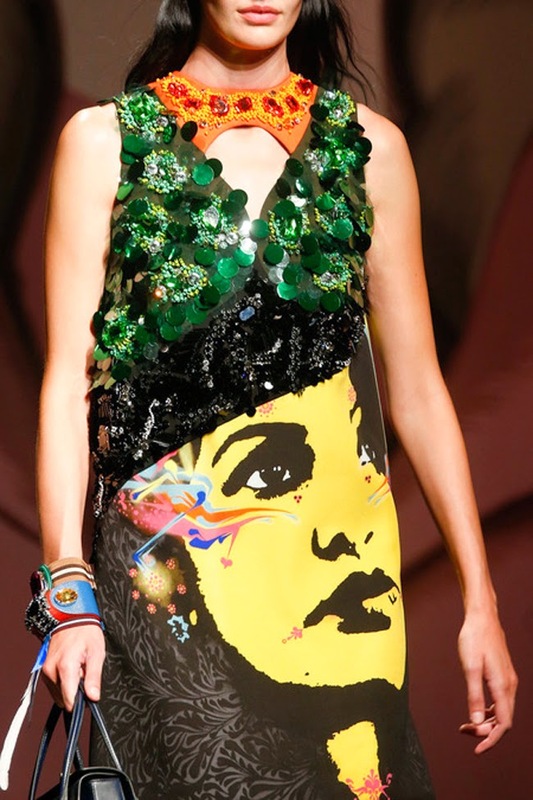 Certainly, the illustrator used to be inspired by the Haute Couture to draw his designs. His work has been edited in different fashion publishers as Vogue or The New Yorker. 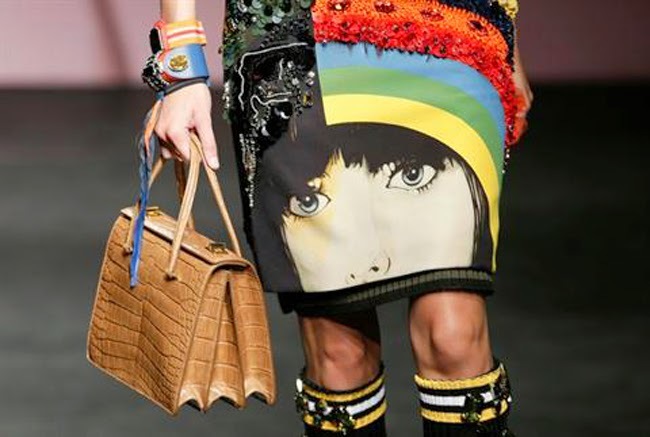 His spectacular blond woman wearing a flowered wreath has become an it icon to Prada's collection. And finally another illustrator, Pierre Mornet, formerly childrens books illustrator, he has worked also for the press and advertisement. 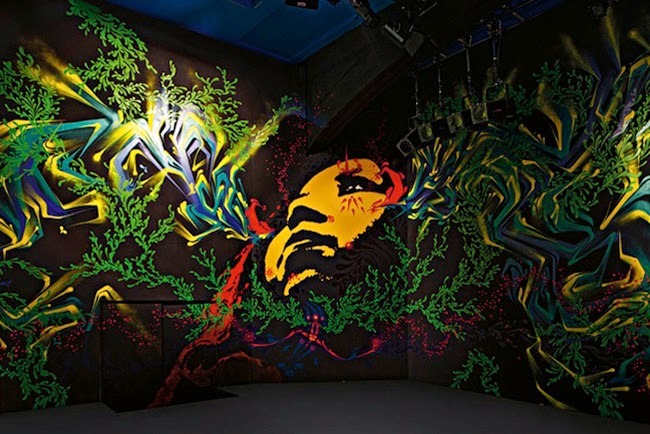 His mural was painted by Ozmo.